If you want to straighten your teeth with lasting results, traditional metal braces aren’t your only option. At MJM Family & Cosmetic Dentistry in Fairfax, Virginia, Dr. Malcolm Murray offers traditional braces as well as more sophisticated orthodontic treatment options, including InvisalignⓇ, ClearCorrect, FastbracesⓇ, and Six Month Smiles. If you want a straighter smile, call or schedule your appointment online today. Orthodontics is a specialized area of dentistry focused on straightening teeth and fixing misalignments in your jaw or bite. You might seek orthodontic treatment for aesthetic or functional reasons. At MJM Family & Cosmetic Dentistry, Dr. Murray offers traditional braces as well as some innovative alternatives to help straighten your teeth with minimal discomfort. What teeth straightening treatments are available? Dr. Murray understands that traditional braces aren’t for everyone. Still, many patients choose traditional braces because the wire-and-bracket system produces lasting, predictable results. If you’re looking for a more discreet option or want to straighten your teeth more quickly, you might choose an invisible aligner system, such as Invisalign or ClearCorrect. These treatments incrementally shift your teeth into their new positions over time, and you can remove the aligners to eat or brush your teeth. Fastbraces and Six Month Smiles are accelerated teeth straightening solutions that also boast high success rates. How long does the orthodontic straightening process take? In the past, orthodontic treatments often took years to provide results, but with today’s innovative techniques and accelerated orthodontics, that’s been cut down to about 12 months or less for most patients. Treatment plans vary significantly based on your specific needs, and Dr. Murray will provide you with an estimated timeline before you get started. What should I expect with orthodontic treatments? Regardless of which teeth straightening method you choose, Dr. Murray customizes your treatment to meet your specific needs. During your initial consultation and any preliminary visits, he will provide you with a timeline that includes the number of follow-up visits and checkups you can expect. 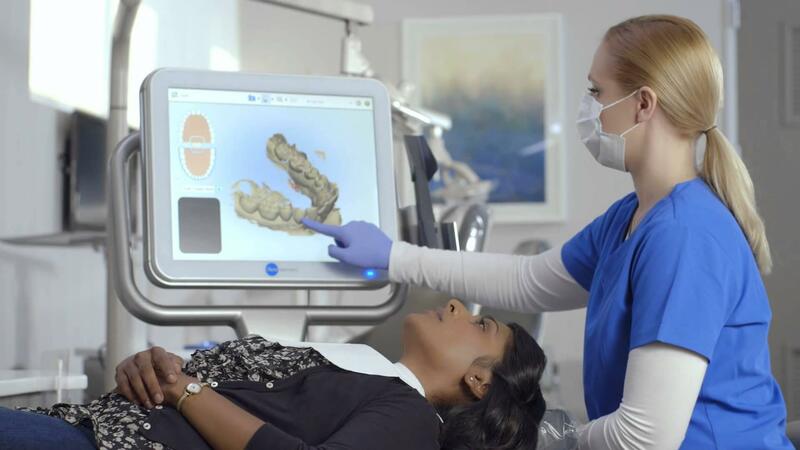 Dr. Murray uses the state-of-the-art iTeroⓇ intraoral scanner, which takes 3D digital impressions of your mouth to create an accurate model for braces or aligners. iTero digital impressions are faster, more precise, and much more comfortable than traditional, messy impression trays. Orthodontic appliances can take some getting used to, but most patients adapt quickly and soon discover that orthodontic treatment isn’t as uncomfortable as they thought it would be. They often find it easy to make minor lifestyle changes to accommodate their new braces or aligners. At MJM Family & Cosmetic Dentistry, Dr. Murray offers several convenient and affordable teeth straightening treatments. To learn more, call or schedule your appointment online today.